In other places, warmer weather heralds the start of spring, but in our mild subtropical city, crawfish boils and festivals galore mark the turning of the season. Now is the time to get out and explore—because after the second weekend of Jazz Fest, high temperatures set in and don’t abate until mid- to late October. Here are 26 things to do in New Orleans on a perfect spring day. Sea gulls? Check. Salty water? Check. Lighthouse? You bet! 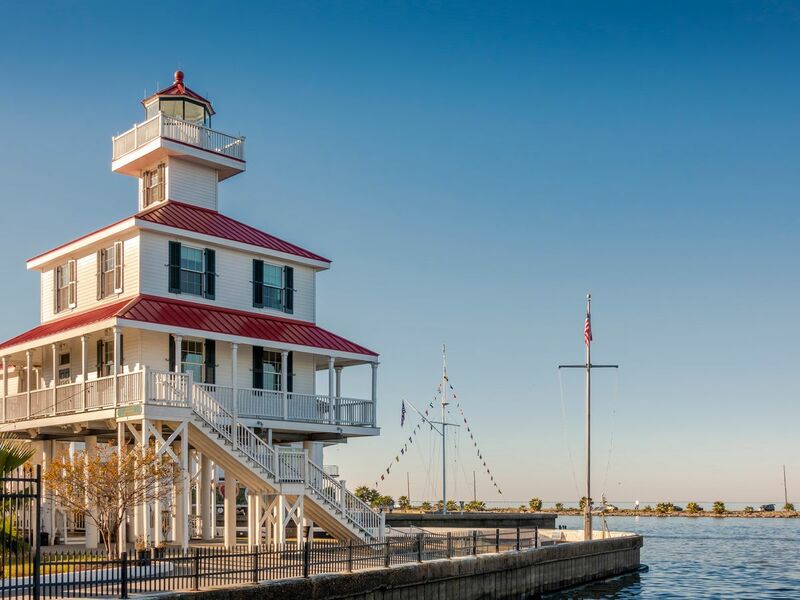 The New Canal Lighthouse is the site of a museum that reveals a little-known part of New Orleans’ maritime history. It also offers beautiful Lake Pontchartrain views. 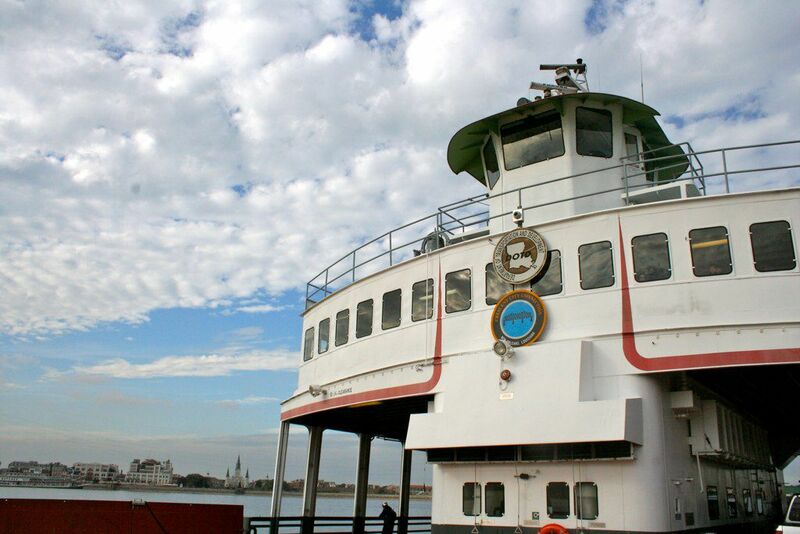 Take the tour, stroll down the lakefront, and grab lunch at a nearby seafood restaurant. Open since the 1930s, this beautifully cultivated, 10-acre collection of gardens is in its glory during the springtime. It also boasts some of the oldest live oak trees in the world, and admission is free for Louisiana residents on Wednesdays. Ever since opening in 2003, this serene assembly of sculptures scattered throughout an oak-shaded, lagoon-filled garden has been a crown jewel of City Park. On May 15, its six-acre expansion finally opens, making this spring a great time to revisit this favorite spot. If you’re looking for a taste of New Orleans history, check out this Creole Colonial country house, which also serves as the home of the Louisiana Landmarks Society. The Society has maintained this 19th-century home and its antique furnishings. Hidden in a lush area off Metairie Road, this classical revival home was built in 1939 and features eight acres of meticulously landscaped gardens\? The historic home was designed by architects Platt & Platt and Ellen Biddle Shipman. 6. Le Musée de F.P.C. 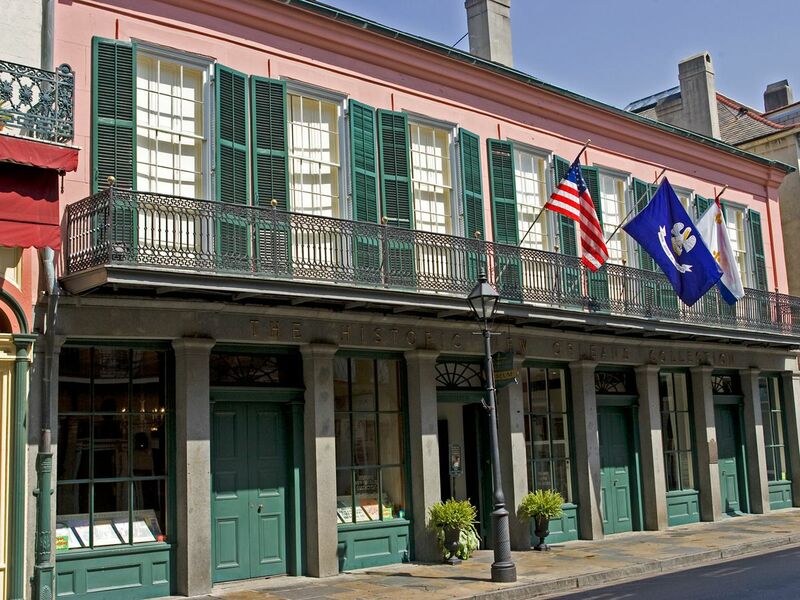 This historic home museum showcases the culture and history of free people of color in New Orleans from pre-Civil War to post-Civil Rights. Treme’s St. Augustine Church is the oldest African-American Catholic parish in the nation. The church was designed by J.N.B. de Pouilly, who is known for renovating the St. Louis Cathedral in 1849. The church also houses the Tomb of the Unknown Slave, a monument that honors enslaved people of African descent who died in New Orleans and were buried in unmarked graves. 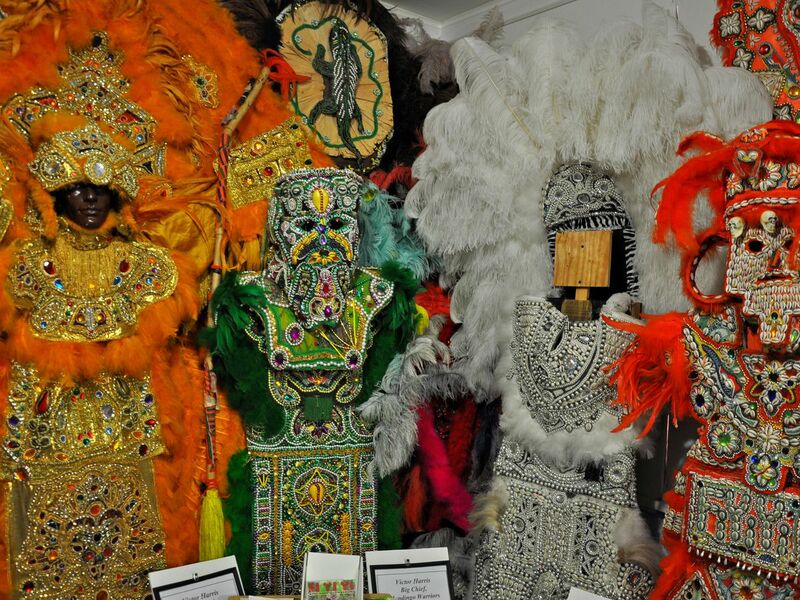 This hidden gem, located in Treme, holds the city's largest collection of Mardi Gras Indian costumes, as well as artifacts related to jazz funerals and social aid and pleasure clubs. 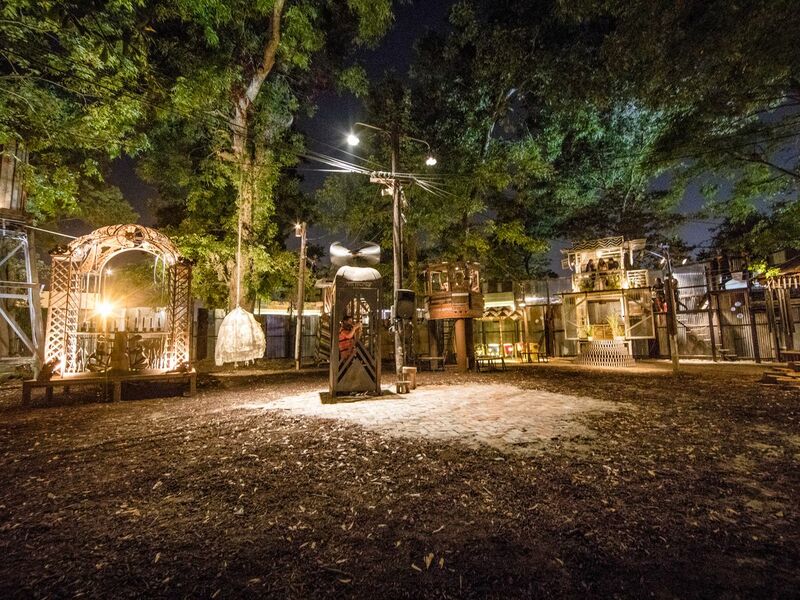 The musical houses (rough structures that can be played like instruments) permanently installed in this urban grove are fun for children and adults. Visit during weekend open hours, check out an arts market on Saturdays, or buy a ticket to any of the Music Box Village’s unique shows. It’s hard to miss the Italianate raised center-hall cottage at Louisa and Royal streets in Bywater. Yellow and fern-hung, with a deep front porch, the circa-1884 building’s evolution has paralleled the neighborhood’s own. Over the last four decades, it’s shifted from private residence to under-the-radar gay bar to trendy day club. 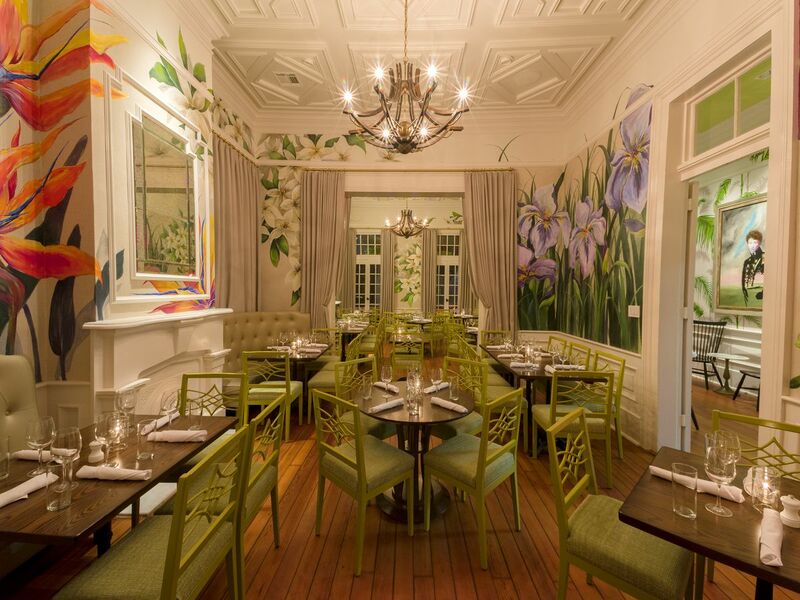 In 2017, owners completed extensive renovations to the building’s interior, and in 2018, they followed suit by renovating the cabana bar--completing its transformation into a hot tourist destination. It’s still a great place to eat, drink, swim, and be merry. Located in the Lower Ninth Ward, this museum holds an extensive collection of Mardi Gras Indian books, costumes, and artifacts native to New Orleans. 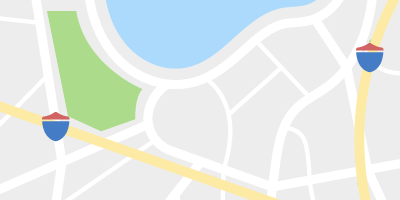 This park sits at the edge of Treme, cusping the French Quarter. Beyond its open spaces, it holds the historic Congo Square site, which is one of the quintessential birth places of African-American music in New Orleans. You'll also find several sculptures dedicated to native musicians. This building, which served as a branch mint of the United States Mint from 1838 to 1861 and from 1879 to 1909, is now part of the Louisiana State Museum system. 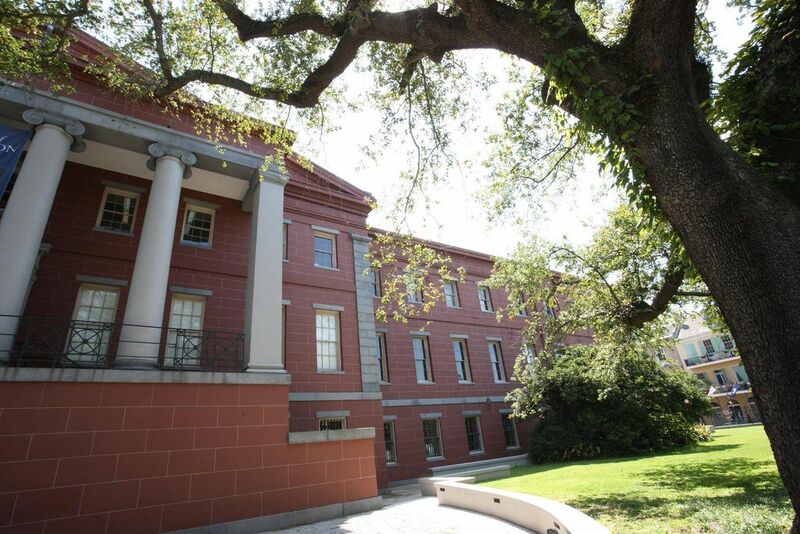 It currently houses the Louisiana Historical Center, an archive containing colonial documents and other primary resources. Originally owned by the neighboring Ursuline Convent, and known for famous residents Confederate General Pierre Gustave Toutant Beauregard and author Frances Parkinson Keyes, this Victorian home is now a museum with one of the most beautiful gardens in the city. The neighborhood secret may be out, but there’s still no better time than now to enjoy Old World wines, cheese, and live music in an oak- and tiki-torch filled backyard. Go on a weeknight to avoid the inevitable lines. Visit the city's oldest storied cemetery before summer rolls around, when the sun’s intense glare and walls of breeze-stifling tombs can combine to give the unprepared a nasty heatstroke. St. Louis No. 1 is the rumored home of Marie Laveau’s tomb and Nicholas Cage's pyramid-shaped future grave. One of New Orleans's best secret spots is this pedestrian street that runs between St. Louis Cathedral and the Cabildo. You’ll also find Faulkner House Books, which at one time housed William Faulkner as he wrote a novel. 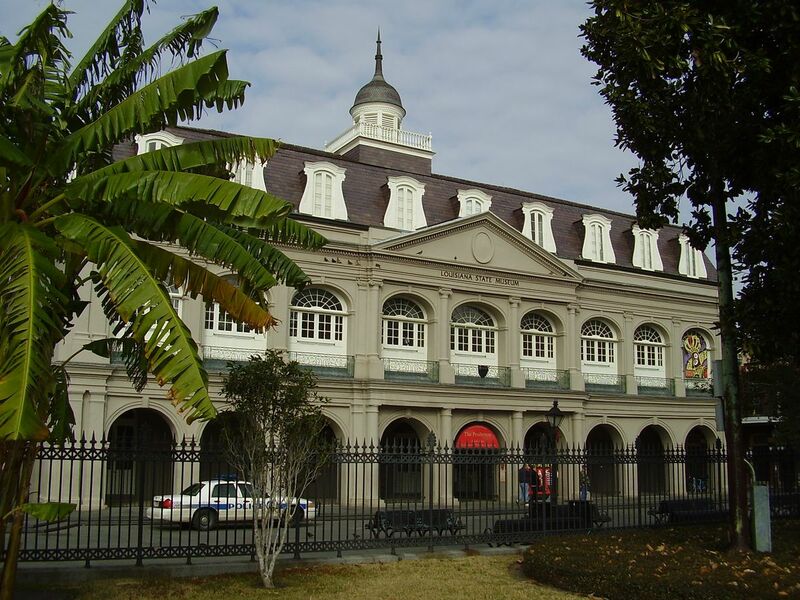 Designed in 1791 to match the Cabildo, the building was used by the Louisiana Supreme Court. 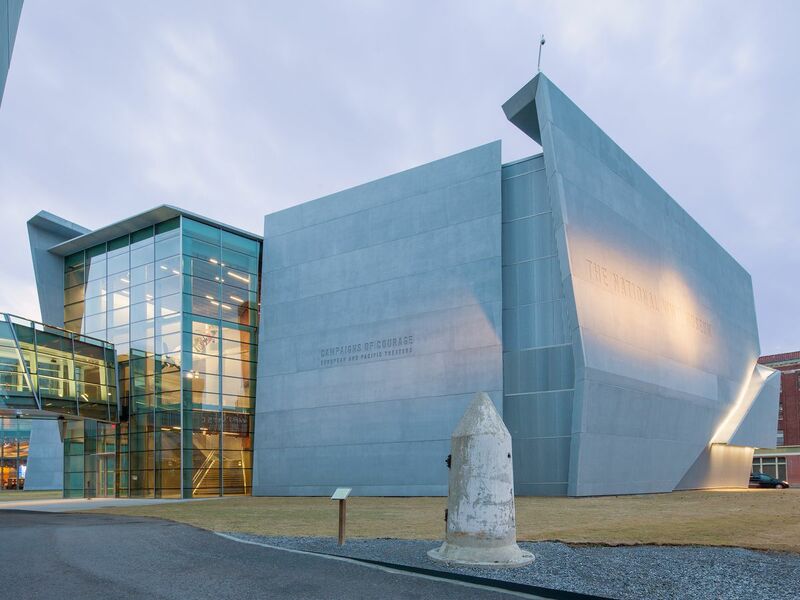 Its two permanent exhibits (“Mardi Gras: It’s Carnival Time” and “ Living with Hurricanes: Katrina and Beyond”) tell the stories of Louisiana’s greatest celebrations and losses. 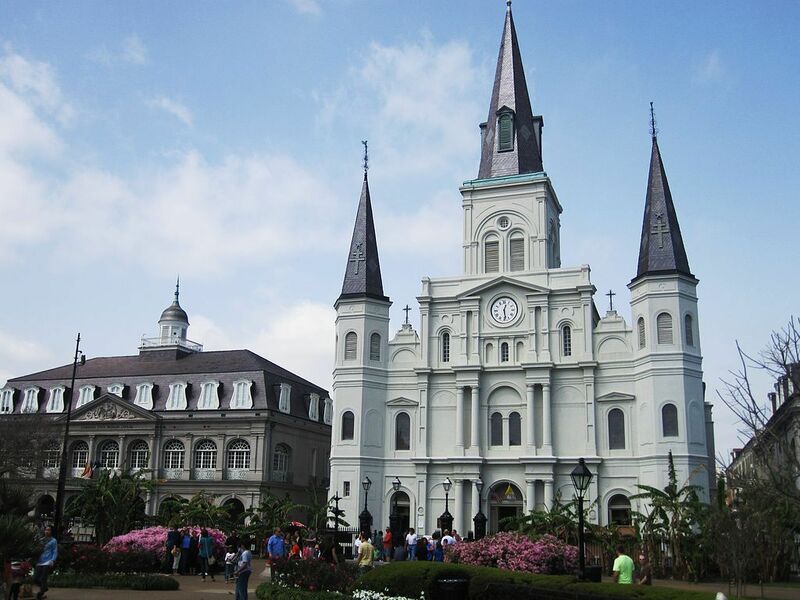 This iconic cathedral, which sits right across from Jackson square, ranks among the oldest in the United States. The standing church was built in 1789, after the original structure at the site was destroyed in the Great New Orleans Fire of 1788. Built in 1831, this historic Federal-style mansion with its courtyard garden is one of the earliest examples of American architecture in the French Quarter. The Historic New Orleans Collection, a museum, research center, and publisher, doubled its square footage this month with the opening of its new exhibition center. The museum features rotating exhibitions, as well as a huge collection of photos and other materials exploring the city's history, art, music, culture, and decorative arts. On May 18, the museum celebrates the grand opening of its new space with a free block party. 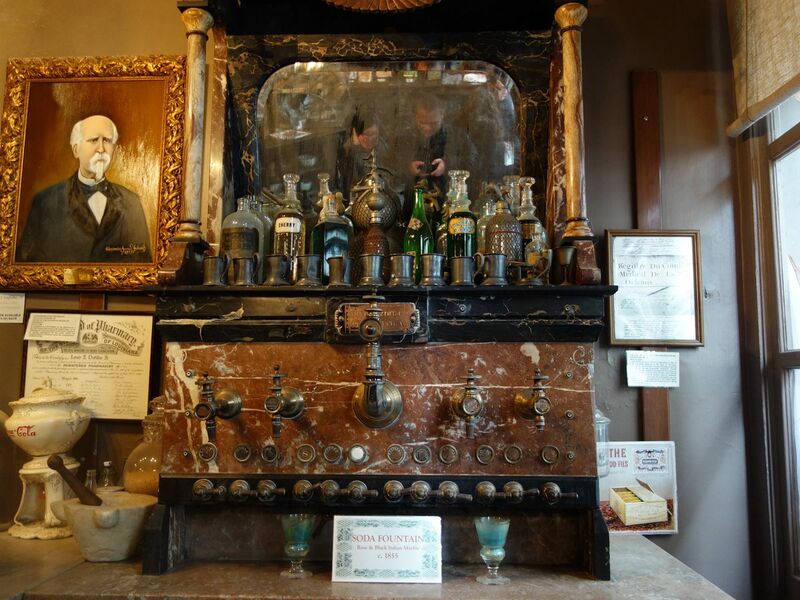 The weird (and slightly horrifying) museum is housed in a circa 1823 apothecary in the French Quarter. You'll find all manner of strange objects here, including leeches, Voodoo potions, and opium-soaked tampons. The museum also has a lovely courtyard. The Algiers Ferry is the most scenic way to get across the Mississippi River, where the charming hamlet of Old Algiers awaits. Explore its historic architecture, bars, coffee shops, and boutiques, or stroll down the levee’s Jazz Walk of Fame. Founded in January 2000, this contemporary museum has a 1940s-themed diner and gorgeous pavilions. In addition to its fantastic exhibits, it has a one-of-a kind 4D “Beyond All Boundaries” feature. 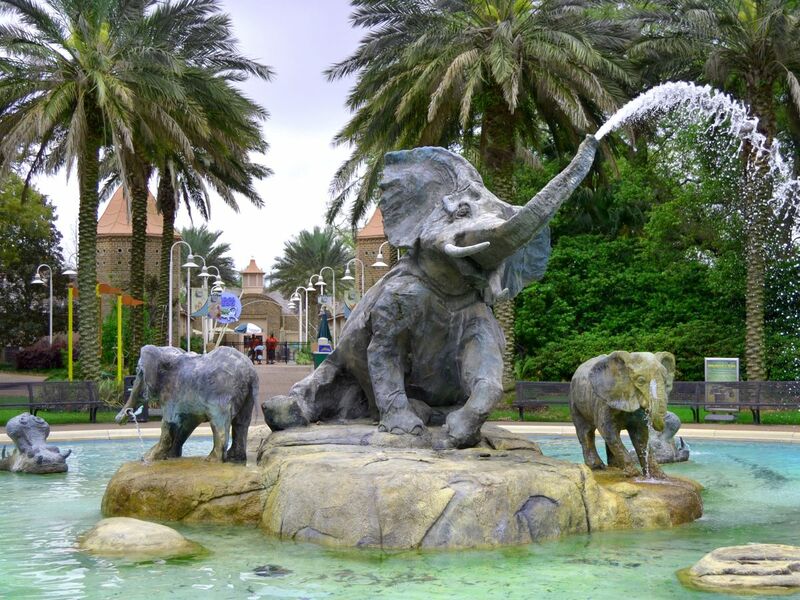 There’s never a bad time to go to Audubon Zoo, a beautifully landscaped, 58-acre zoo that has been around since the 1884 World Exposition. But thanks to the Audubon Institute’s new Community Connect program, entry is now free for Orleans Parish residents on the third Wednesday of every month. Don’t forget to say hi to the sea lions and scale Monkey Hill. The Barataria Preserve is just 30 minutes outside of New Orleans, but it feels like the secret, cypress-shaded heart of Cajun country. 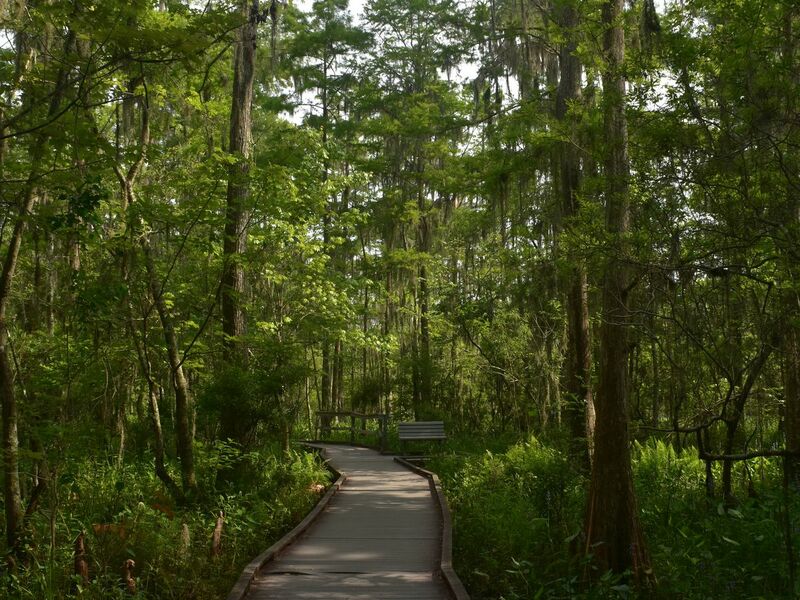 Wooden walkways criss-cross the swamps and give hikers a front-row view of birds, snakes, turtles, squirrels, and yes, the occasional alligator. Go now, before the mosquitoes get too out of hand.